May's OBC book is The No. 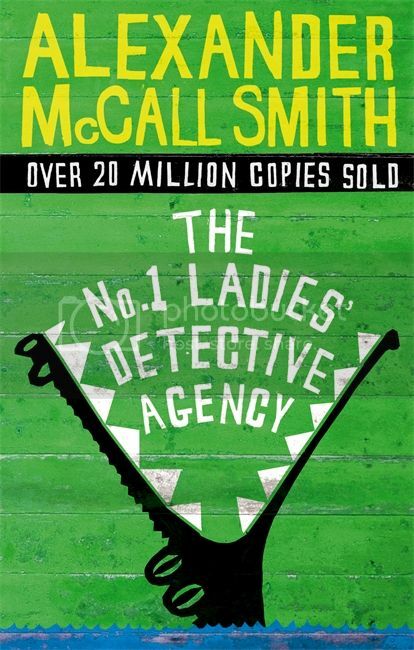 1 Ladies' Detective Agency by Alexander McCall Smith. Wayward daughters. Missing Husbands. Philandering partners. Curious conmen. If you’ve got a problem, and no one else can help you, then pay a visit to Precious Ramotswe, Botswana’s only – and finest – female private detective. Her methods may not be conventional, and her manner not exactly Miss Marple, but she’s got warmth, wit and canny intuition on her side, not to mention Mr J. L. B. Matekoni, the charming proprietor of Tlokweng Road Speedy Motors. And Precious is going to need them all as she sets out on the trail of a missing child, a case that tumbles our heroine into a hotbed of strange situations and more than a little danger . . . Delightfully different, The No. 1 Ladies’ Detective Agency offers a captivating glimpse of an unusual world. Thread opening on 1st May for discussion; posted here now to give you a chance to go find a copy of the book.